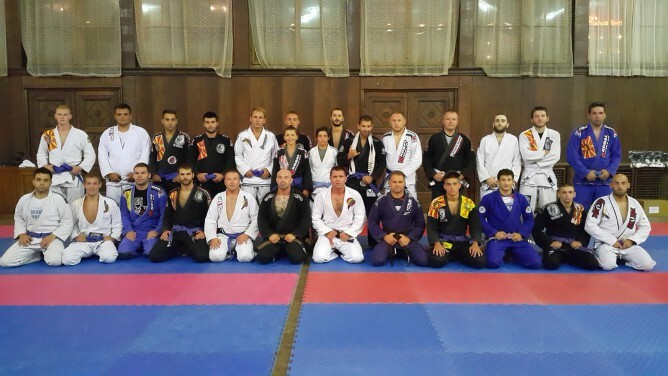 Another successful BJJ and MMA seminar was held by prof. Robert Naumoski in Ohrid. The seminar was divided in two parts, where in the first part there were BJJ techniques with the gi and in the second part there were MMA and Grappling techniques. At the seminar, beside out members from “ The Strongest & Roots BJJ” from Skopje, Ohrid, Kumanovo and Priler, there were guests attending from Sweden, Germany and Switzerland. Prof. Naumoski was focusing on the standing techniques and he was explaining few details for the techniques from the previous seminars and training sessions in the clubs across Macedonia. On the second seminar day, prof. Naumoski showed some interesting standing techniques and some guard attacks and also, out guest from Switzerland, Igor Dimoski showed some techniques from the 50/50 positions with some leg locks. The president of the Macedonian BJJ federation and founder of “ The Strongest & Roots BJJ Macedonia” , Ivica Aleksovski was awarded a brown belt in BJJ and its currently the highest ranked BJJ practitioner that lives in Macedonia. 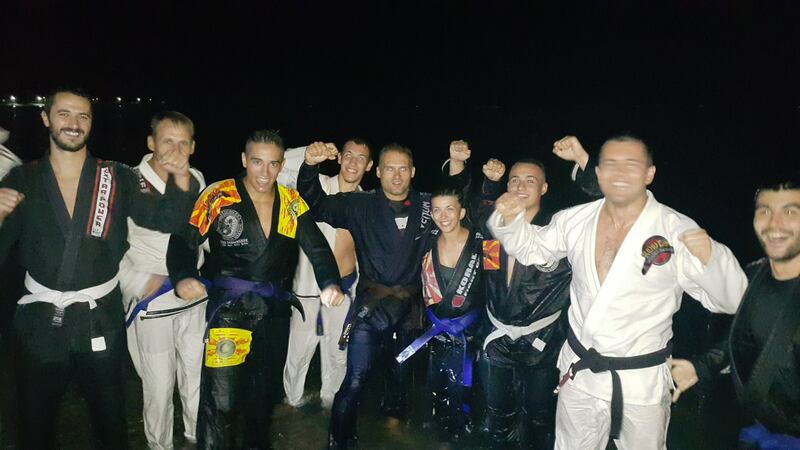 After the belt grading, Aleksovski along with most of the members solidified their belts with a cold, night swim in the Ohrid Lake. Overall the seminar went great, new techniques were learned, few details were added and new belts were awarded.